^ Grose, Francis (1811). Dictionary of the Vulgar Tongue. Entry: "Wranglers". Retrieved 2013-05-26. ^ Stray, Christopher (2012). 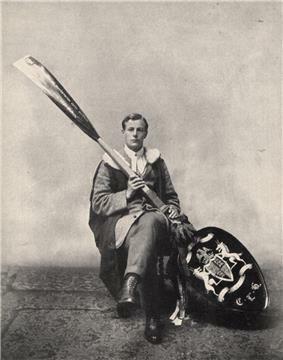 "The Wooden Spoon: Rank (dis)order in Cambridge 1753-1909". In Feingold, Mordecai. The History of Universities XXVI/1. Retrieved 2015-08-06. ^ Socius (1823). The Cambridge Tart. London: Smith. p. 98. ^ a b Stephen J. Cowley. "Cambridge Mathematical Tripos: Wooden Spoons". Retrieved 2009-07-27. ^ a b c d Jonathan Holmes (1998). "'"Queens' College Cambridge: 'A Queens' Wooden Spoon. Retrieved 2009-07-27. ^ Socius (1823). The Cambridge Tart. London: Smith. p. 284. ^ """University of Cambridge Exhibitions: "In honours mathematical, the very last of all: Cambridge Wooden Spoons. May 27, 2009. Retrieved 2009-07-27. ^ Godwin, Terry (1984). The International Rugby Championship 1883–1893. Willow Books. ^ Dorries, Ben (21 January 2015). "Andrew Flintoff declares Brisbane Heat’s underperforming players to blame for wooden spoon campaign". The Courier Mail. Retrieved 29 January 2015.